Sav-Mor Mechanical, Inc. Controls Division considers every client a partner, which builds relationships for the present and the future. With over 30 years of experience in the control industry, we understand the clients need for maximizing building comfort, improving reliability, extending the life expectancy of equipment, enhance serviceability & troubleshooting, all while optimizing energy usage of the building. Every project is not taken lightly, from a simple programmable thermostat to a complicated computerized building automation system, we pride ourselves on a well designed and installed control system using the latest technology offered in the industry. Whether the control system is web based, enterprise and/or integration we understand the end result for the client which is easy operation, simple maintenance and effortless monitoring. 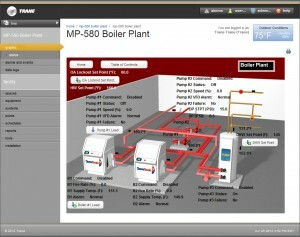 Today’s technology enables clients to integrate multiple manufactures products together on one network. With developments of the industry standard open protocols such as LON and BACnet, clients can take advantage of the features that the other manufacturers have to offer. SMM has the knowledge and expertise to integrate these types of systems, seamlessly. With ever so changing Technology, our team strives to be at the cutting edge in our industry. We specialize in installation, programming and servicing of vintage to present Trane Systems, Honeywell WEBS, Johnson FX and Niagara AX. All certifications and continuing education courses required by the manufacturer are up to date. Sav Mor Mechanical, Inc. is a Trane Strategic Partner and a Trane ICS Contractor which guarantees the lowest possible price from Trane on it controls but also empowers us to be the only contractor in the New York City, Long Island & Westchester area to install, program and service Trane Systems without intervention of the Trane Company. Our Engineer’s will provide a control submittal/as built drawings with detailed flow diagrams, an outlined sequence of operation, point to point wiring diagrams, a bill of material for ease of understanding the systems operation. The Project Manager’s have a clear understanding of the project and have the expertise to coordinate projects accordingly to meet the client needs. Our Field Control Technicians and Programmers will start-up and commission the systems to operate impeccably and to its client expectations. Its Long Island’s first environmental responsible commercial property, which is LEED certified. 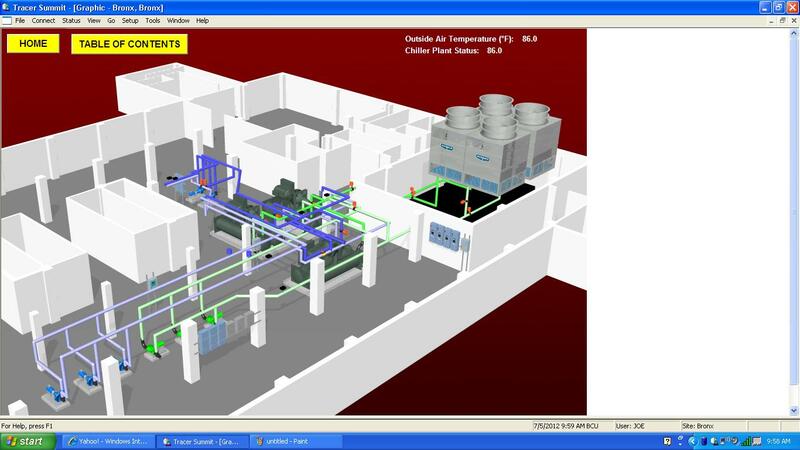 This provided tenants an efficient and healthy work environment while utilizing a Trane Tracer Summit System for controlling Trane Intellipak Rooftop Units and Trane VAV boxes. The Intellipak rooftop units have energy wheels designed to recover energy being exhausted and transfer it to the outside air stream to precondition the outside air to allow downsizing equipment and to conserve energy usage. We utilized CO2 sensors and programmed the demand ventilation which modulates the outside air damper to control to a permissible CO2 level. This project is LEED certified and was installed with a Trane Tracer SC Systems to have the ability to access thru the WEB and achieve maximum occupant comfort. An energy recovery unit with an energy wheel was installed. This unit delivered conditioned outside air to the fan coil units which help reduce the tonnage of the facility, a scheme designed to save on energy usage. The owners wanted the capability to monitor electrical usage so electric energy monitoring meters were installed. This project called for us to replace the custom air handlers, VAV boxes and pneumatic controls. All this had to be done without causing a disturbance to their operating rooms. The controls were critical to the operation of this equipment, so pre-planning was significant. 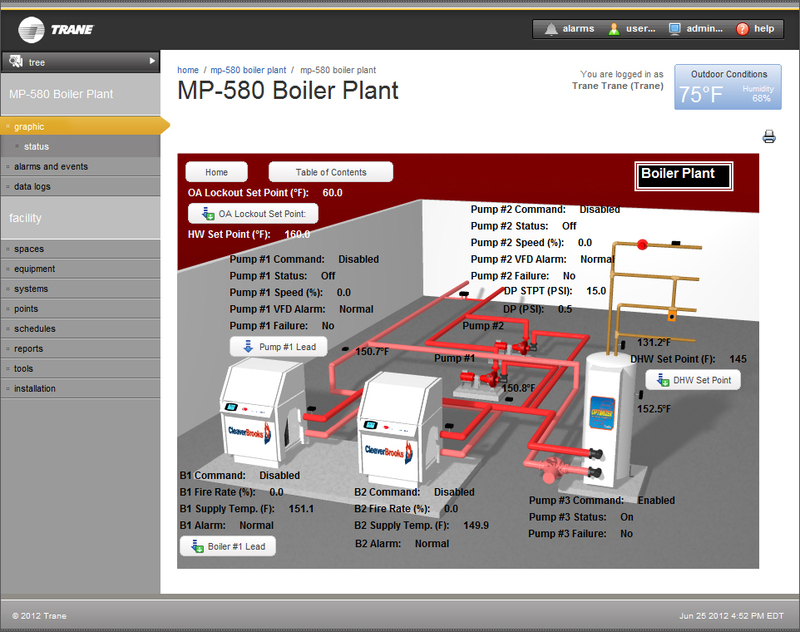 With an existing Trane Tracer Summit, upgrades were required to be able to expand on the system and not cause failure. All low voltage and communication wiring had to be installed prior to replacing equipment. The plan was to replace one AHU per weekend, only having two days to get the unit operational and controlling to the BMS. Then, get the mechanical engineer to visually inspect and approve that the unit was operating per design so that the room was fully operational come Monday morning. The VAV boxes were replaced at night, two at a time and brought into the system. This whole project went seamlessly. This 13,000 sq. ft. facility is a dedication to energy efficiency by being classified LEED platinum. A Tracer Summit was installed with MP581 controllers to control the critical geothermal plant. We integrated McQuay water source heat pumps via BACnet. The clients commissioning agent conducted extensive testing and confirmed that the building was controlling to design. This library had a vintage Johnson Metasys control system which failed. Parts were obsolete and the equipment was operating 24 hours a day. The client needed a solution quickly and so we upgraded the system to a Johnson FX. 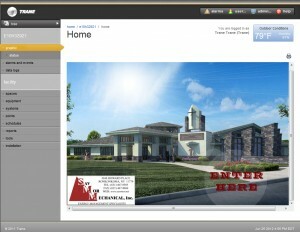 Once the building was under control, we enabled them to access the system via the internet. They were delighted by the capability.